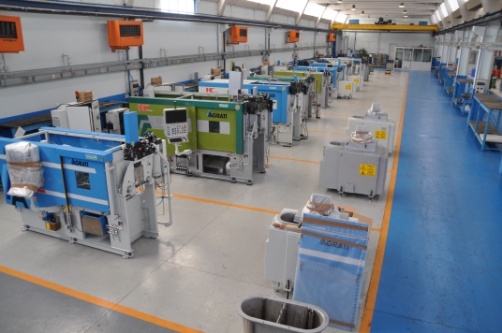 Located near Bergamo, AGRATI SRL, has been designing and producing die casting machines both hot and cold chamber for aluminium, zamack and magnesium for over 30 years. 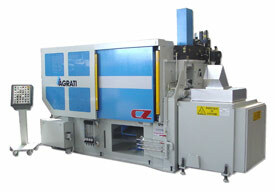 AGRATI moreover specializes in making directly peripheral equipments such as die lubricator and automatic metal ladle.Our experience and competence, attested by over 2000 plants working all over the world, allows the realization of “turnkey” complete casting cells designed to answer to the specific needs of our customers. Moreover the after-sale service is widespread, fast and effective. Our commercial department is at your complete disposal for any need.